On February 9, 2016, Celltrion's infliximab biosimilar CT-P13 was recommended for approval by a vote of 21 to 3 by the US Food and Drug Administration's (FDA) Arthritis Advisory Committee.1 Approval of the first biosimilar in rheumatology is imminent, according to an official with Celltrion Inc. If ultimately approved, CT-P13 would be the first monoclonal antibody biosimilar approved in the United States. Celltrion Vice President Alex Kudrin, MD, PhD, MBA, told Value-Based Care in Rheumatology in a telephone interview that the FDA has said it will announce its decision on CT-P13 approval in April, and that the company anticipates a positive outcome. "We don't have any doubt about it, because the FDA has concluded in its assessment that CT-P13 is similar to Remicade [infliximab]," said Dr Kudrin. "And there is no reason to think that there will be any further requests from the FDA, because the biosimilar assessment is based on structural and analytical data, and we have fulfilled all the requirements in this application." The FDA committee's vote was for approval of CT-P13 for all 7 of the indications for Janssen Biotech's Remicade: rheumatoid arthritis, ankylosing spondylitis, psoriatic arthritis, plaque psoriasis, adult Crohn’s disease, pediatric Crohn's disease, and adult ulcerative colitis (Remicade's indication for pediatric ulcerative colitis is protected until September 23, 2018, by orphan drug exclusivity). This again had the weight of the FDA Briefing Document. "The applicant [Celltrion] has also provided [an] extensive data package to address the scientific considerations for extrapolation of data to support biosimilarity to other conditions of use[,] suggesting that CT-P13 should receive licensure for each of the seven indications for which US-licensed Remicade is currently licensed and for which CT-P13 is eligible for licensure," the document concluded. Angus Worthing, MD, spoke at the February 9 meeting on behalf of the American College of Rheumatology (ACR). Dr Worthing, a member of the ACR's Government Affairs Committee, told Value-Based Care in Rheumatology after the meeting that he had not expected so many of the committee members to back full extrapolation to all indications. "I was a little bit surprised by that," he said. "But I wasn't surprised by the comments of some of the committee members who felt a bit of ambiguity in taking this step–one [of them] asked why the question was asked like this [all 7 indications or none] rather than some or none." ACR officials have taken a cautious approach to biosimilars. This has moderated slightly in the last few months, as the likelihood of CT-P13 approval increased. In his February 9 remarks, Dr Worthing told the advisory committee that "the ACR strongly believes that safe and effective treatments should be available to patients at the lowest possible cost. In the absence of other large-scale levers to control US biologic prices, FDA approvals of biosimilars may be the only tool [to] keep costs within reason. As we have seen today and in published data, CT-P13 has performed effectively in multiple diseases, and it could be the first biosimilar approved for rheumatologic diseases in the US." Dr Kudrin said that his company has taken this conservative approach–shared by the FDA and other groups and individuals in the American medical community–to CT-P13 in its stride. "The agency has been working with quite a lot of biosimilar product requests from companies, and it requires a lot of time and commitment. The agency has been doing well with this, but it's a lot of data to go through. The amount of structural and comparability data is colossal–probably 10 times greater than with new products," he said. "Because we have to submit quite a lot of analytical data, and similarity data–this is the foundation of the biosimilar concept." Dr Worthing reiterated the ACR's long-standing call for gathering of long-term, postmarketing data for each biosimilar, and for distinct nonproprietary names for biosimilars and the originating products. The FDA has determined that biosimilars and the originating products should have different names: for example, the first biosimilar approved by the FDA, a biosimilar of filgastrim, was designated by the agency as filgastrim-sndz. The suffix refers to Sandoz, the manufacturer of the product (Zarxio). This naming distinction will aid in long-term surveillance and in ensuring that prescribers or dispensers cannot automatically interchange the originating product and the biosimilar. The FDA is currently formulating guidelines on interchangeability. "Once this guidance is available, we'll have to talk to them first [before we apply for interchangeability]," said Dr Kudrin. "There may be additional clinical data that they'll require. They'll most likely ask for switching data for more than switch [between the originating biologic and the biosimilar, and back again]." If CT-P13 is approved in the US, it may put downward pressure on prices, resulting in a lower cost burden for patients and for public and private payers. For example, in several European countries as well as the United Kingdom sales of Remicade fell as Hospira's biosimilar Inflectra entered the market. In a bid to bolster their bottom line, Merck and Johnson & Johnson have been offering discounts and rebates on Remicade. This pattern is likely to repeat in the US and in Canada, where the biosimilar of infliximab was launched in March 2015. "Because there are so many companies getting involved in producing biosimilars, I think the prices for both originators and biosimilars will continue to go down," Carter Thorne, MD, former president of both the Canadian Rheumatology Association and the Ontario Rheumatology Association, told Value-Based Care in Rheumatology in a telephone interview. "For example, at present Remicade in Canada lists at $990/vial and Inflectra at $650/vial. Then, if Remicade goes down to $700, Inflectra could well go down, to perhaps $500. And that could continue, but at some point both will hit a price beyond which they are unable to reduce further–there will be a cellar effect. Additionally, this phenomenon may put pressure on the other products in the same therapeutic class, the TNFIs [tumor necrosis factor inhibitors], that don't yet have a biosimilar competitor." FDA's Arthritis Advisory Committee recommends approval of Celltrion's CT-P13, a proposed biosimilar infliximab, for all eligible indications [news release]. Celltrion Inc. February 10, 2016. www.celltrion.com/en/COMPANY/notice_view.asp?idx=481&code=ennews∫NowPage=1&menu_num=&align_year=all. Accessed February 15, 2016. US Food and Drug Administration. FDA Briefing Document Arthritis Advisory Committee Meeting February 09, 2016. www.fda.gov/downloads/AdvisoryCommittees/CommitteesMeetingMaterials/Drugs/ArthritisAdvisoryCommittee/UCM484859.pdf. Accessed February 13, 2016. American College of Rheumatology applauds FDA draft guidance requiring distinct naming for biosimilars [news release]. American College of Rheumatology; August 28, 2015. www.rheumatology.org/About-Us/Newsroom/Press-Releases/ID/675/American-College-of-Rheumatology-Applauds-FDA-Draft-Guidance-Requiring-Distinct-Naming-for-Biosimilars. Accessed February 12, 2016. 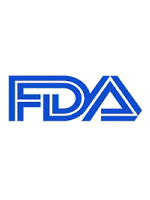 American College of Rheumatology encourages safe adoption of biosimilars during FDA public hearing on CT-P13, a proposed biosimilar for infliximab (Remicade) [news release]. American College of Rheumatology; February 10, 2016. www.rheumatology.org/About-Us/Newsroom/Press-Releases/ID/728/American-College-of-Rheumatology-Encourages-Safe-Adoption-of-Biosimilars-During-FDA-Public-Hearing-on-CT-P13-a-Proposed-Biosimilar-for-Infliximab-Remicade. Accessed February 15, 2016.